Specialties: Mountain Vacation Specialist for the Major Ski Resorts in the US, Canada, Europe, South America and Japan for individuals, families and groups. 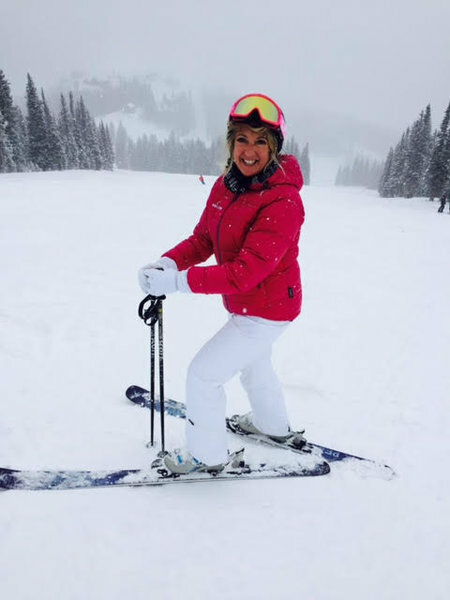 I have been in the travel industry for 29 years and have specialize in ski/snowboard vacations for 20 years. I work with individuals, families and groups to help plan their dream vacation to any of the major ski resorts throughout the world. I enjoy sharing my knowledge of travel and destinations with my clients to help them plan an amazing vacation! "I specialize in Winter and Summer Travel to all the major ski resorts in the world. I can help customize a package for individuals, families and groups to fit their specific needs. I can help guide clients to the best destination for them based on their preferred amenities and price range. In one transaction I can help with discounted airfare, airport transportation, lodging, lifts, equipment rentals, other activities, excursions and dining tips." "Growing up traveling between Montana and Alaska always gave me a great appreciation for travel and beautiful places. When I moved to San Diego and started working in a travel agency I realized I had found my passion. Almost 30 years later I still enjoy my career in travel very much and helping my clients plan memorable vacations. " "It is hard to limit it to just one unique travel experience but my most recent unique travel experience has been to Hokkaido, Japan to visit 4 ski resorts (Niseko, Kiroro, Rusutsu, Furano). This is the most northern island in Japan and is known for the amazing powder they get during the winter. I had traveled to Europe alot and was not sure what to expect in Japan. It was truly one of the best trips of my life. We rented a car and drove ourselves around the island to each resort with the help of a Hotspot and GPS and we managed to get to all the resorts without getting lost. The people were probably the most amazing - so friendly and welcoming. Driving by the Sea of Japan on your way to the beautiful rural countryside to driving by Mt. Yotei (Mt. Fuji's northern cousin) was incredible. The food was amazing especially the sushi and fresh seafood. Each resort was very different and unique, but all offered ski in ski out access to the resorts, great restaurants and nice onsite amenities including onsens which one must try when visiting Japan. These natural hot thermal pools are very relaxing and are a big part of the Japanese culture. My favorite one was at the Hilton Niseko village it was outside with a view of Mt. Yotei. Being able to travel this beautiful far north winterland was amazing and something I would recommend for anyone looking for a new exciting winter experience."